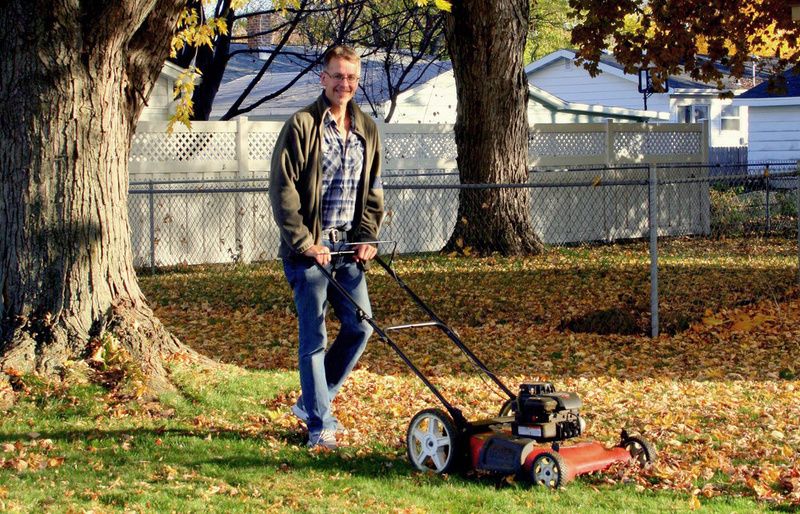 Leave Leaves Alone – Don't Blow… Mow! The annual ritual of raking, blowing, piling, bagging, and trucking leaves out of residential neighborhoods costs each homeowner – or their landscaper – hours of time each fall. It also robs the yards of one of nature’s greatest resources: rich, natural compost. The practice of leaf blowing further causes serious diesel and particle pollution, and is a waste of gasoline. 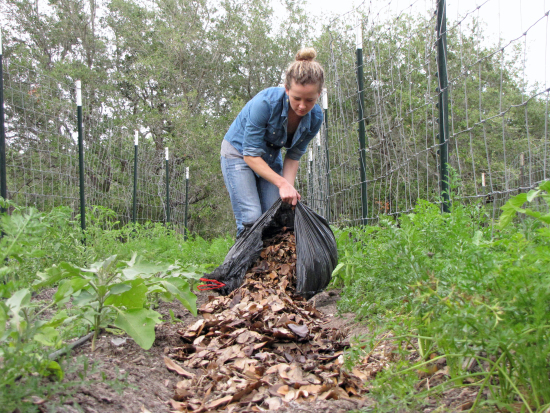 A more sustainable way of managing leaves involves mulching or composting them. 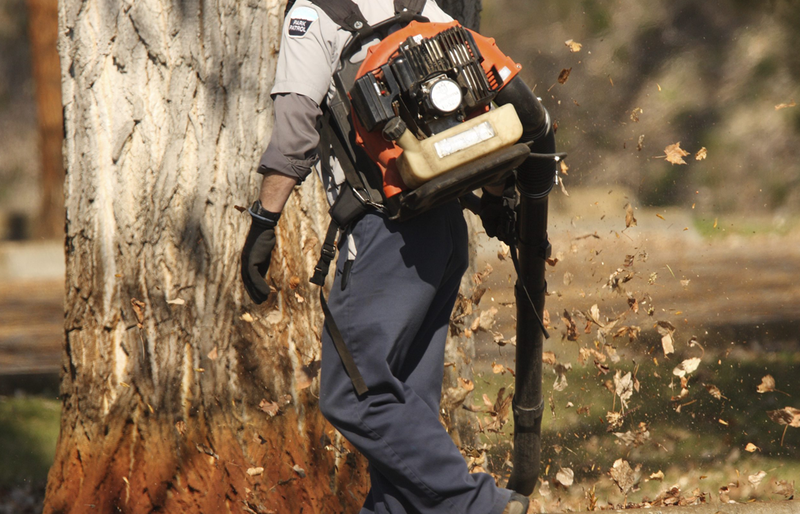 Mulching helps to limit the negative impacts associated with leaf blowers. Mulching is easy to learn and easy to practice for both homeowners and landscapers. Many landscapers already offer mulching as a regular service. For towns that are picking up leaves from their residents, mulching can save a serious amount of taxpayers dollars. Mulching the leaves on your property has many advantages. It reduces noise and greenhouse gases, because it reduces the use of leaf blowers, but it also enhances the health of your yard by creating valuable topsoil. Leaf mulching avoids the spreading dust and contaminants into the air and saves you time and money. The benefits of leaf mulching are numerous. Mulching improves soil structure, reduces the need for fertilizer and avoids water pollution by reducing phosphorus and fertilizer leaching. Mulching reduces the safety hazard of piled up or bagged leaves on the roadsides and saves taxpayer money for leaves pick up. Mulch, when spread on garden beds, suppresses weeds and improves soil quality and when it decomposes into compost, it suppresses disease. Leaf mulching is the practice of chopping leaves into small pieces. Mulching can be done with a lawn mower or a leaf shredder. Mulched leaves can be left on your lawn or they can be piled 3″ or 4″ deep on garden beds and around shrub roots, where they act as a protective layer in the winter and, in the growing season, prevent weed growth and help conserve water. Leaf mulch decomposes over time adding important nutrients and structure to the soil. Mulch-mowing can be done by both homeowners with small mowers or by commercial landscapers who can buy relatively inexpensive mulching tools. Deep piles of leaves are no match for landscapers equipped with leaf mulching blades and deck attachments described on our For Professional Landscapers page. Mulch-mowing with a regular mower might require extra mowing in the leaf season. If there is too much leaf material left on the lawn after a deep pile has been mulched, redistribute it with a rake into the planting beds or spread it around the lawn. To add a 2” layer of mulch to a 40 x 4 ft plant bed you need one cubic yard of mulch. One cubic yard of mulch delivered to your home costs about $30; plus a delivery charge. 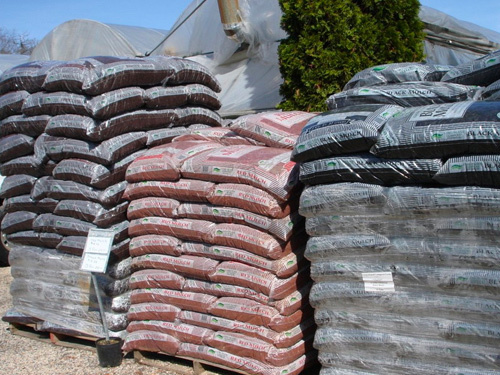 Mulch in plastic bags, sold at the store, are even more expensive. 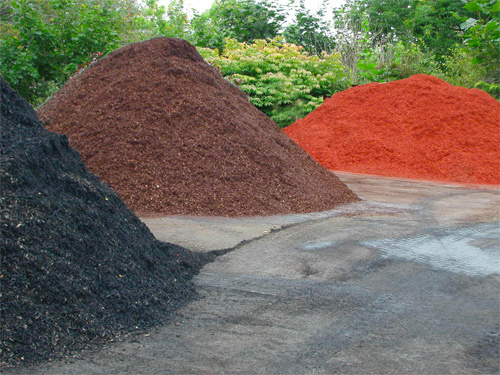 Leaf mulch is an inexpensive mulch that you already have available. Leaf mulch is not treated with chemical preservatives or paints and it decomposes quicker into healthy soil. Not a fan of the mowing idea? Pile the leaves somewhere where they won’t be disturbed and leave them alone. It’s best to put them in a spot where they are not too sheltered, as the pile needs to get wet occasionally. After about two years or less, you’ll have rich, crumbly compost, about 1/20 the size of the original leaf pile, ready to add to your flower beds or around your shrubs. You don’t have to use the compost; you can just ignore it and leave it where it is. Pull out the rake and a tarp to move the leaves: you’ll probably find it, as we did, much more efficient that blowing leaves with a leaf blower across a yard. To make your pile of leaves decompose more quickly, you can shred the leaves with either a leaf shredder, or a push chipper/ shredder, which is more expensive, but able to also handle twigs and small branches. You can also pass over leaves with a lawn mower, or put them in a garbage bin and mulch them with a weed whacker. This is really good when you don’t have much space as it will reduce the volume of your leaf pile to about one tenth of its original size. Shredding leaves this way speeds up decomposition: if you do this in the fall, you can expect to have compost by mid-summer the following year. So you like things to be nice and tidy? No problem. Build a container and compost the leaves. A ring of chicken wire is the simplest leaf container but any containment system works as long as the leaves are exposed to air and water. A container stops the leaves from blowing around and they will slowly decompose and turn into compost. When it’s ready, remove the compost and use it in your garden and wait for the next fall to top up the container. Suitable for small areas, leaf vacuums allow you to gather the leaves and shred them at the same time. Add them to a compost pile, or place them onto perennial beds and around shrubs as protective mulch. This mulch decomposes and enriches the soil. Shred the leaves into small pieces and place them on your flower beds as mulch for winter protection. If they haven’t broken down by spring, remove them (piling them in a compost pile) to allow any tender plants to emerge or leave them and they’ll keep weeds down in the growing season. Although it’s better to mulch your leaves, and leave the chopped up leaves on your lawn and flower beds so they can enrich your soil, you can just rake or blow your leaves into the woods – if you have woods. The trees, from which the leaves fell, will thank you as their soil is nourished by the decomposing leaves breaking down into compost, just as nature intended. Please note that using a leaf blower in garden beds is very destructive to topsoil and bad for plants. It is best to remove leaves from flower beds by hand or with a rake. Leave Leaves Alone! 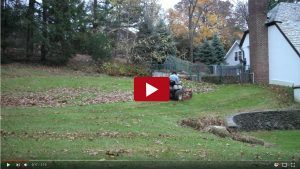 was developed by a group of Bedford, NY, residents in 2011, most of whom were Cornell Cooperative Extension Master Gardeners, concerned about the environmental pollution and destruction of soil properties caused by the practice of leaf blowing. 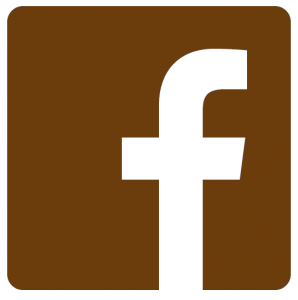 Our message goes far further than our small town and our mission is to educate landscapers and homeowners on the value of leaf mulch; to remind them that nature is there to do most of the work for us, and that fall leaves are a great natural resource. A growing number of people is becoming aware of the health risks and the damage leaf blowers cause. In more than 118 communities residents have come together in our country and urged their legislators to restrict leaf blower use. Quiet Communities is a leader in this initiative and a great resource for communities seeking information.